Native Collection Plus has Shaw's SilentStep Plus, premium attached backing which reduces noise transmissions, offers easier installation and provides natural hardwood walk sound. Native Collection Plus has appealing designs that will make an impression no matter what the look is. If you’re looking for casual, urban, formal or informal - Native Collection Plus laminate has a choice that’s just right. This collection has the most sought after species and has the most popular colors in flooring fashion today. Native Collection Plus has exclusive visuals that will add a more upscale look to any room. 21.12 sq. ft. per case. Case quantity: 8. Case weight: 27.69 lb. Buy online Shaw Native Collection Gunstock Oak 8mm Thick x 7.99 in. W x 47-9/16 in. 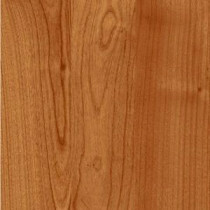 L Attached Pad Laminate Flooring (21.12 sq.ft./case) HD09900861, leave review and share Your friends.